I am so excited to share March's New Digital Stamps! 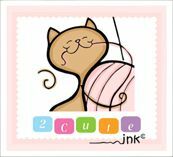 Don't forget when you join the 2 Cute Ink Digital Stamps Club anytime in March you get all the digital stamps above for $5! Not looking to join the club you can get 5 out of the 6 digital stamps in my 2 Cute Ink Etsy Shop!